As a representative of wapa.org.za I would like to take the opportunity of reposting this blog, which was contributed to by the exec committee, as a prediction of the IT landscape for South Africa in 2014. 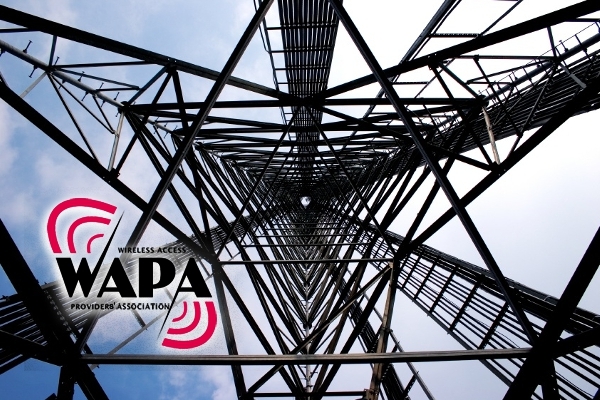 One of the key objectives of the Wireless Access Providers’ Association (WAPA) is to add value to WAPA membership by providing additional services in line with both the growth of the industry and its members’ needs. The WAPA executive committee, comprising volunteer industry professionals, is therefore constantly monitoring the South African and global landscape, in order to understand the market context and drivers. WAPA predicts an ever-increasing penetration of smartphones as, on the supply side, mobile carriers will encourage uptake and consumption of mobile data by subsidising or leasing smartphones with contracts, and very affordable low-end smartphones will be introduced by handset manufacturers. Consumers will predominantly use smartphones for social media, mapping, web browsing and communications, but will however start taking advantage of the new ‘mobile-first’ functionality delivered by the private and public sectors. Businesses such as banks, retailers, and even the government will begin to deliver services designed for a mobile platform, such as payments, coupon and loyalty applications and even the payments of council bills and traffic fines via mobile. For certain types of businesses, having a mobile strategy will therefore move to the forefront in 2014. Telkom has long led the convergence charge, offering consumers and businesses bundled services comprising fixed and mobile connectivity. In 2013, they were joined by Afrihost and MWEB, both of which complemented their home ADSL services with mobile “MiFi” offers. MWEB has made public its intention to build a nationwide Wi-Fi network and offer bundled home and public-access connectivity. WAPA expects this trend to continue in 2014, specifically in the consumer marketplace, as these industry leaders are joined by others, and alliances formed between both incumbent players and upstarts or smaller, specialist companies. Many analysts have already predicted that 2014 will be a breakout year for Wi-Fi in South Africa, and WAPA has seen this already taking shape internally. Wi-Fi can form the third leg of a mobile/home/Wi-Fi converged service if and when service providers are able to build open access carrier-grade Wi-Fi networks in high foot traffic locations. The recently announced collaboration between WAPA and the Wireless Broadband Alliance (WBA) is geared towards providing industry education to enable the building of such networks according to established best practices. According to Effective Measure’s November 2013 demographics report, the percentage of South Africans accessing the internet over ADSL dropped sharply from 51% to 42%, while the percentage accessing the internet over Wi-Fi grew from 28% to 34%. The smartphone proliferation will also fuel the installation of Wi-Fi networks designed to do more than just provide basic connectivity. In the past, consumers would have to search for relevant local content or check in on the likes of FourSquare to see what offers were available. New software solutions coming onto the market in 2014 will turn this equation on its head, allowing consumers to access local content and offers easily through the use of smartphone location in an intelligent Wi-Fi network. This is just one example of value-added services delivered over smartphones connected to the internet. From WhatsApp and the big marketing push from Tencent’s WeChat this year, software companies will continue to introduce smartphone applications that deliver additional content over a data connection. In the residential space, expect to see content in the form of video-on-demand as Telkom is rumoured to be in talks with Netflix, and MWEB will begin pushing content from the Naspers engine to home-internet users. South Africa can also expect to see ever-dropping broadband prices and faster speeds. While WAPA applauds Telkom for continuing to lower IP Connect rates, overall costs will remain quite high until ADSL line-rental costs are lowered, which is unlikely to happen in the short term. Since fibre to the home will remain an expensive proposition, high quality and high speed connections delivered by wireless ISPs (WISPs) will remain competitive and may even become more competitive relative to ADSL, as WISPs introduce better, faster, and cheaper connectivity products. This will lead to an increase in the rate of substitution away from ADSL. The common theme in these trends is better, faster and easier connectivity which provides more value to consumers. Much of this will happen naturally over wireless, as wireless point-to-point links over licence-exempt spectrum offer a reliable and cost-effective way to provide connectivity to consumer devices either through Wi-Fi or SIM card. From WAPA’s vantage point, 2014 promises to be a good and exciting year for the wireless industry! Small ideas can make a huge impact. IT activist Ory Okollah shares her experience with CNN about her Ushahidi software which was initially developed to report humanitarian crime in Africa, but saved thousands of lives in Haiti.